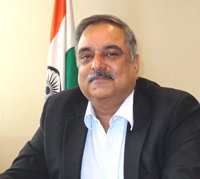 Mr. Param Jit Mann (DoB 7-4-1960) studied law and holds a LL.B. degree. He joined the Indian Foreign Service in 1987. During his diplomatic career, he has held different assignments at the Indian Missions in Madrid, Sofia, Mexico and Brussels and has served as Ambassador of India in Bratislava. At the Ministry of External Affairs in New Delhi, he has worked in different capacities in the Pakistan Division, Administration, Protocol, the West Africa Division, and the Foreign Service Institute, where he served as Joint Secretary from August 2008-September 2014. Mr. Mann is single, and has two daughters.